Seattle voters should ask district officials why they're jeopardizing a 40-year effort to reduce inequity among schools across the state. They can ask such questions at community meetings Thursday at Montlake Elementary and Jan. 22 at Rainier Beach High School. The fate of Washington’s McCleary education-funding reforms, providing equitable public education across the state, may hinge on Seattle Public Schools’ Feb. 12 levy vote. 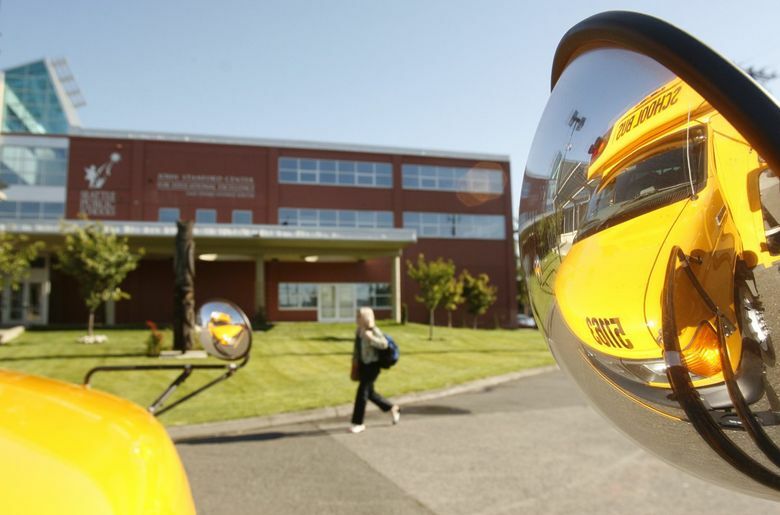 Rather than work with lawmakers to make improvements, the state’s largest school district is telling voters the state has failed, and encouraging them to break a core promise of the McCleary deal. The district is asking voters to authorize an operations levy nearly double what’s allowed under the new state law. It says this will provide flexibility if the Legislature authorizes higher local levies; otherwise the lower amount will be collected. But it’s a blatantly political maneuver: If voters approve the higher operations levy, the district would have more leverage in Olympia to demand higher local tax authority. Seattle voters should ask district officials why they’re jeopardizing a 40-year effort to reduce inequity among schools across the state. They can ask such questions at community meetings Thursday at Montlake Elementary and Jan. 22 at Rainier Beach High School. That’s a good opportunity also to ask about the district’s proposed capital levy. Voters elsewhere should take note because Seattle’s outcome could lead to higher levies across the state. For Seattle voters, the big question is whether to support the brand-new, state-centric K-12 program, or endorse the push by some districts to resume collecting and spending more on basic education. It took decades to resolve this moral question in the courts and Legislature, and it’s profoundly disappointing the Seattle district is undermining that progress and exploiting the generosity of its constituents in its push for higher local levies. Seattle is apparently banking on the public being misinformed. The state is constitutionally required to amply fund basic education and is now doing so, except for special education, a shortfall the Legislature is duty-bound to fix this year. School districts can no longer rely on local levies for basic-education funding, under the law. That created a patchwork of funding across the state’s 295 districts. Children end up with unequal educational opportunity based on where they live, and the wealth and generosity of their community. To prevent this unconscionable situation from recurring, the Legislature increased the state education property tax and decreased local levies. K-12 schools now receive half the state’s $45 billion, biennial general-fund budget so there’s equitable funding statewide. The plan is dynamic and can be adjusted to cover districts with extraordinary needs. The amount districts can collect locally with levies is now capped. They’re prohibited from using local levies for basic education — such money can be spent on only enhancements. This was done to prevent backsliding and creating the same problem all over again. The overall plan was affirmed last June by the state Supreme Court. Yet now Seattle is muddying the water by saying it needs higher levies for “day-to-day school operations,” seeking to gut the state’s plan rather than make it work for everyone. Equity is a stated priority of the district. Why is the district pushing to return to a school-funding approach that creates inequity, especially for less wealthy districts? Housing affordability is a major challenge. Property owners just received a 17 percent tax increase, on average, largely to fund the state’s basic education program. Why should they pay more for this locally? How much of the operations levy is for basic education, that the state should fund, and how much is for extras that are legal under McCleary? If the state’s definition of basic education has flaws, and isn’t covering essentials, why not work to change that definition so every school district and student benefits, not just those in property-rich Seattle? If the district is facing a financial shortfall, why did it approve 10 percent raises last year? Educators must be well-paid, but wouldn’t it have been prudent to provide a smaller raise? Lawmakers say they’ll fully fund special education this year. Won’t that resolve much of the district’s budget problems? Answers to these questions are important to the whole state and to Seattle voters as they weigh whether to support a school levy request that flouts the state’s newly minted education reforms.